An eastern Iowa artist is getting national attention for his work of bringing history to life, all through spray-paint. 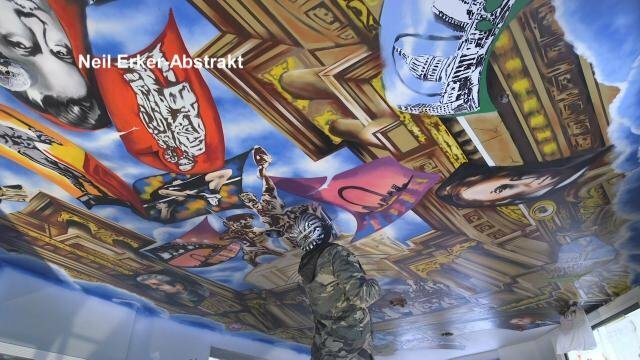 Waterloo artist Paco Rosic is putting the finishing touches on a mural in St. Louis, featuring the city's rich history. Rosic is well-known for his recreation of Michelangelo's Sistine Chapel inside his downtown Waterloo restaurant. The mural, a childhood dream of Rosic's, features one of the world's greatest works of art along the ceiling. Using the same idea of bringing history to life, Rosic is painting the rich history of St. Louis on the ceiling of Cafe Piazza. 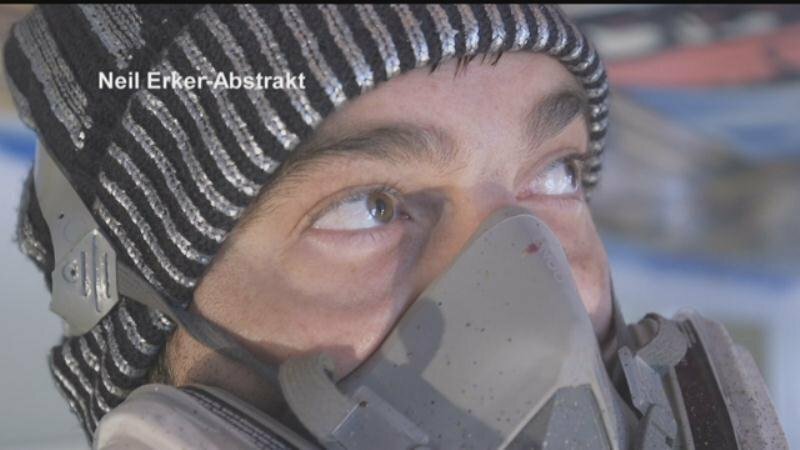 The Bosnian refugee discovered the art of graffiti in Germany. "I saw people painting on the walls," said Rosic. "First love with spray-can, I said this is unbelievable. This was my first love actually." With an admiration for graffiti, Rosic took the idea of spray-painting and transformed it into a breathtaking craft. "It's kind of like a language, my language," said Rosic. "I hope people will get it. I always say I paint for myself, if people come to like it, they like it, if not nothing I can do about it." After hearing about Rosic's work in Waterloo, he was approached by St. Louis. "I kind of painted like a ceiling looks like 3D columns," said Rosic. "And if you take a book and just throw it in the air, you can see a bunch of different pages flying around in different stages." 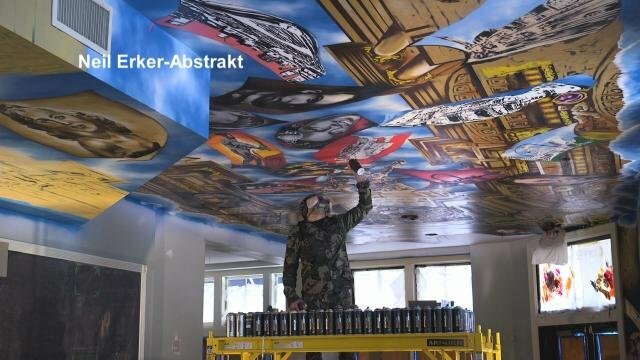 Looking at the ceiling, Rosic says the mural is a journey from settlement of the Mississippi River town in the mid-1700s through the World's Fair and into modern-day development of its iconic sports teams and beer factories. The aerosol artist says spray-painting is a type of solace, turning to his craft after leaving what he knew as home. "I came here, I was so depressed, and what kept me alive is I used to paint in my parents garage," said Rosic. "When I start painting, I go into it. I don't like to be bothered when I paint." Rosic jokes about the neck and back pain from hours spent painting the murals on the ceilings, but his passion far outweighs any discomfort. "Perspective is completely different when you look at it, it's not the same," said Rosic. His love for art came at a young age from his mother, who introduced him to notable artwork, including Michelangelo's Sistine chapel. "I just wanted to do it to know how he felt you know," said Rosic. 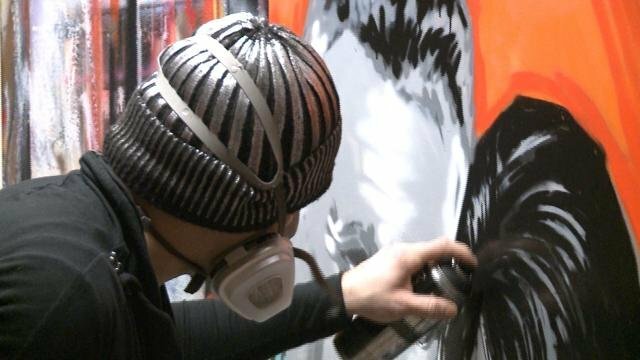 The mural inside his downtown Waterloo restaurant took 5,000 cans of spray paint to complete. Rosic says he expects to complete the St. Louis mural by next week.